From shy Frenchman to record-equalling Bundesliga champion: it has been a decade to remember for Bayern Munich winger Franck Ribery. The 35-year-old got his hands on the Bundesliga title for an eighth time this weekend - a feat managed only by club greats Philipp Lahm, Bastian Schweinsteiger, Oliver Kahn and Mehmet Scholl - but he isn't done yet. On 7 July 2007, a somewhat reticent Ribery took to the podium at Bayern's Säbener Straße training complex to face the media for the first time following his transfer from Olympique Marseille. With the help of translator, the then 24-year-old revealed that the club had already given him a welcome present: a custom-made German-French dictionary containing essential football phrases in order to help him settle. It certainly worked – but surely not even Bayern can have anticipated just how big an impact he would have over the following decade. There was no sign of that initial timidity once Ribery took to the pitch, however, and just a week after making his league debut the 1.70m Frenchman give a foretaste of what was to come by audaciously dinking the ball over Werder Bremen goalkeeper Tim Wiese to pave the way for a 4-0 victory in August 2007. "When I'm out on the pitch I just do what comes naturally, I'm like a child," he once said of his playing style. That sense of freedom has served both him and Bayern well. Ribery is now a genuine club legend, having made 381 competitive appearances in which he has had a direct hand in 285 goals (scoring 117 himself and providing 178 assists), as well as winning the Bundesliga, DFB Cups, Champions League, FIFA Club World Cup and the Supercup, among others. In addition to Ribery's pace, unrivalled trickery and fierce will to win, part of his enduring appeal comes from the fact that he makes up half of the famous 'Robbery' partnership with fellow winger Arjen Robben. From 2009 onwards the duo have formed a pincer-like attack very few opposition defences have managed to keep at bay. 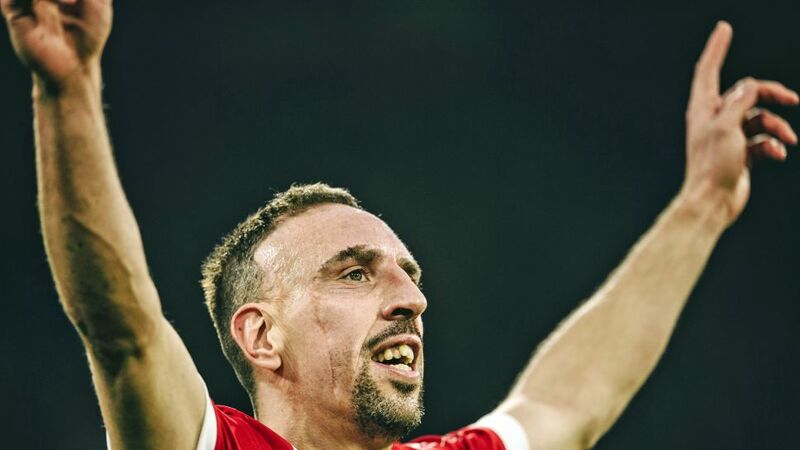 That was at its most evident in 2012/13, the season that arguably marked the zenith of Ribery's career. He he played a leading role in Bayern's treble-winning campaign – Ribery's clever back-heel set up Robben to score the winner in the Champions League final - before being crowned UEFA European Player of the Year ahead of Lionel Messi and Cristiano Ronaldo.